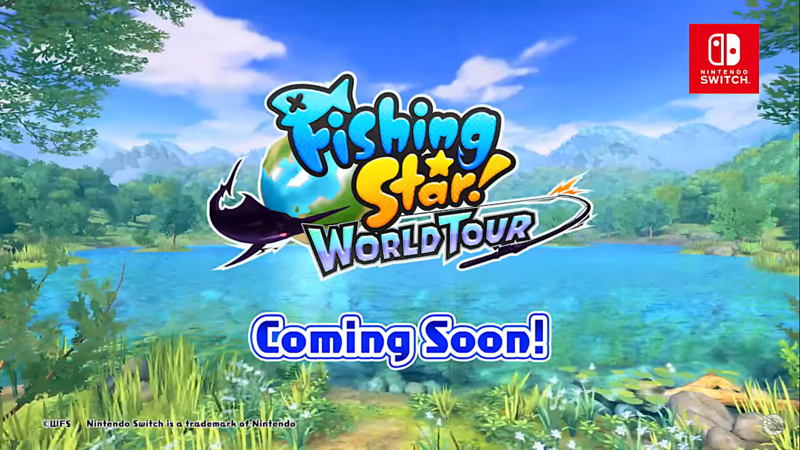 Fishing Star World Tour is a (you guessed it) single player fishing game that is coming to the Nintendo Switch. Developed by WFS, the Fishing Star series has been running for 12 years on Mobile in Japan. It is now making the leap onto the Nintendo Switch with Fishing Star World Tour and will release on January 30th for $29.99 USD. This will also be its first time debuting globally. Pre-purchase is already available on the Nintendo Switch e-Shop and has been since January 24th. Players must use both left and right Joy-Cons to simulate a fishing rod and Reel. The Fishing rod Toy-Con from the Nintendo Labo Variety Kit can also be used to help broaden the experience. We also have a trailer for the game as well. As with most games available for pre-purchase, you will not be able to play the game until the release date. There will also be a small update on release day that you will have to download which, will enable you to play the game. The game will be supported in 38 regions around the world including Japan, North America and Europe.